Mio Nonno Trattoria will branch out from its Allen roots and open a second DFW location in November. Mena’s Tex-Mex Cantina will open its third DFW location at the center in January 2017. Fairway Mortgage and Victory Sports Rehab will open later this year. 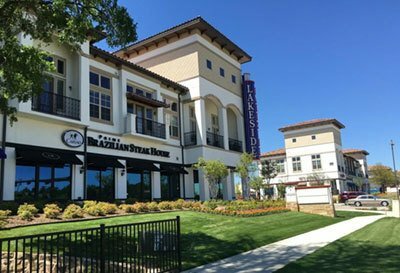 The shops have 17 tenants already open, including Moviehouse & Eatery, Bottle & Bottega, State Farm Insurance and Starbucks. Phase 2 of Lakeside DFW will have 200k SF of additional retail and office space, a convenience store, 466 units of multifamily, 200 units of active senior housing and a 15-story condo tower with 52 residences. Published on August 4, 2016, by BISNOW.